This a sneak peak at a quilt I am making for the girls school as a fundraiser. 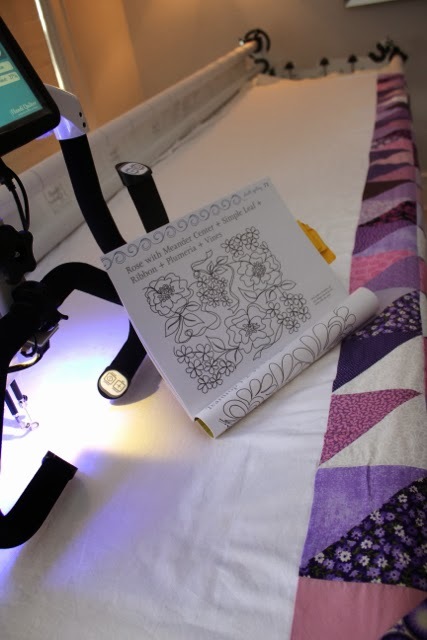 The family who won the quilt requested a 'modern quilt, purple, with flowers'. 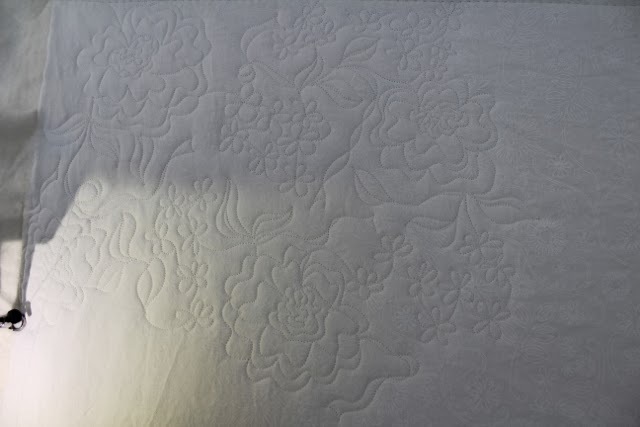 I've been thinking for a while of what pattern to use for quilting. Here is what I decided. It is from Doodle Quilting by Cheryl Malkowski - I love this book - it has such great ideas from practice to putting various elements together to make interesting designs. Here is the first corner. Not bad for first squiggles. I hope that the pattern will compliment the modernness of the quilt top. gorgeous. 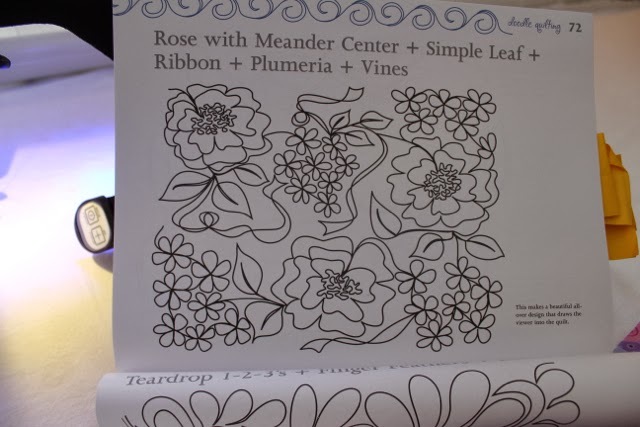 I love the idea that quilting is doodling!